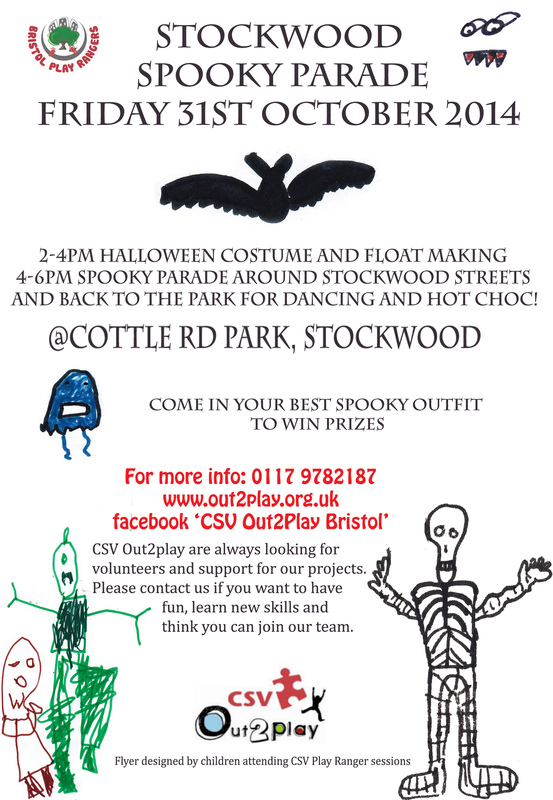 CSV Play Rangers will be delivering a free play and Halloween activity session from 2-4pm @ Cottle Rd Park, Stockwood. We will be getting ready for the ‘Spooky Parade’ which will start from the park at 4pm with music, decorated floats, and everyone in costume to spook the night away! We will then return to the park for hotdogs, dancing and more Halloween fun! Come and join in and have some Spooky fun in Stockwood! 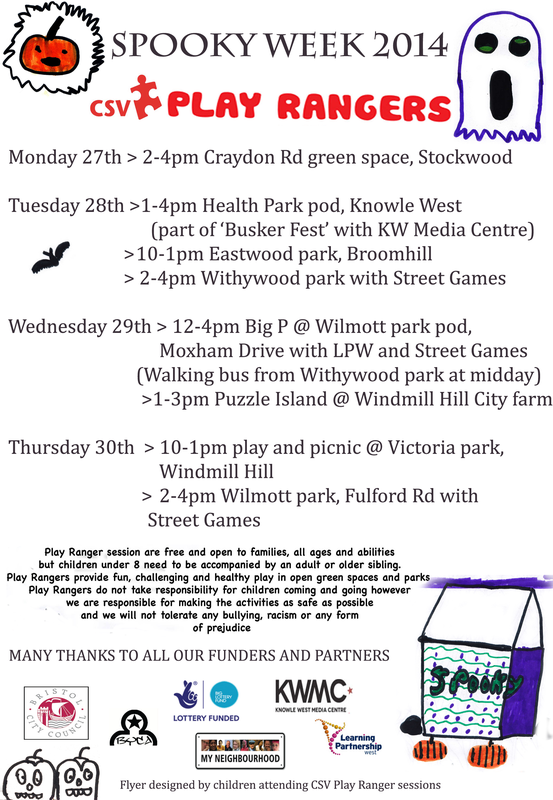 Halloween half term activities in south Bristol! 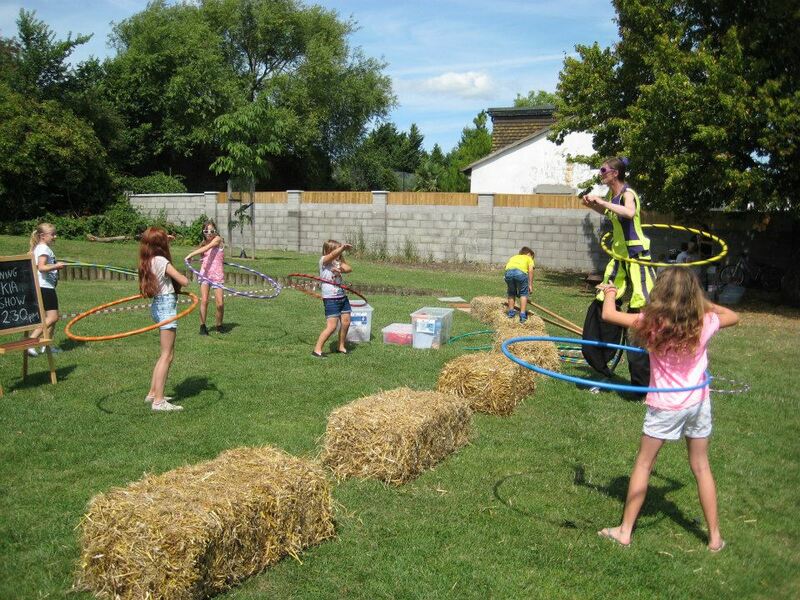 There will be skeleton hunts, costume making, running around games, cooking and much more! We have been all over south Bristol from Hartcliffe to Stockwood, from Knowle West to Headley Park and all soooo much fun! We have watched the amazing Spinning Kia with her fire show and learnt how to hoola hoop and make juggling balls as well as soak the clown! 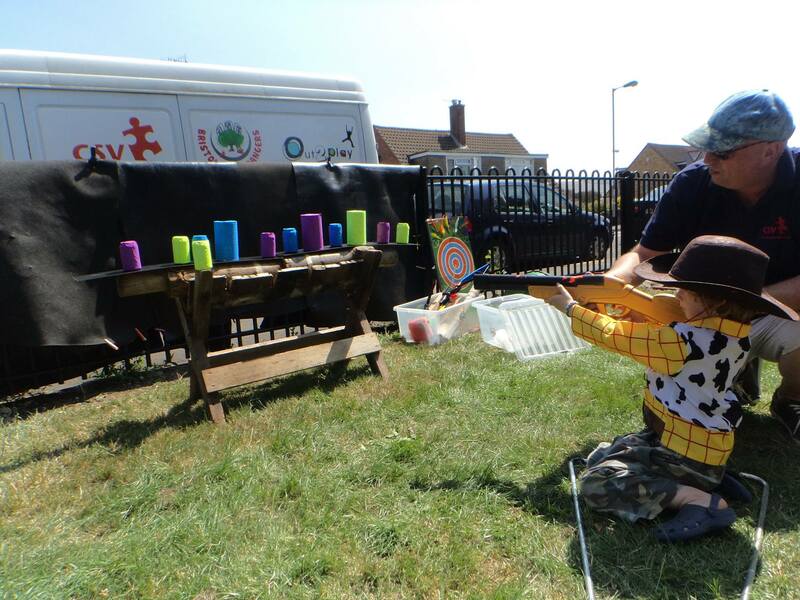 We have played as cowboys and Indians panning for Gold, shooting tin cans and making hobby horses to race over hay bales. We have spray painted plastic bottle flowers, drawn with the charcoal we made on an open fire and made huge butterfly wings. The Giant Big P road closure was fantastic with crazy bikes and ramps in the street, town junk modeling and making willow baskets. It has been the BEST summer holiday yet so keep checking out where and when the CSV Play Rangers are going to be as you don’t want to miss out!! 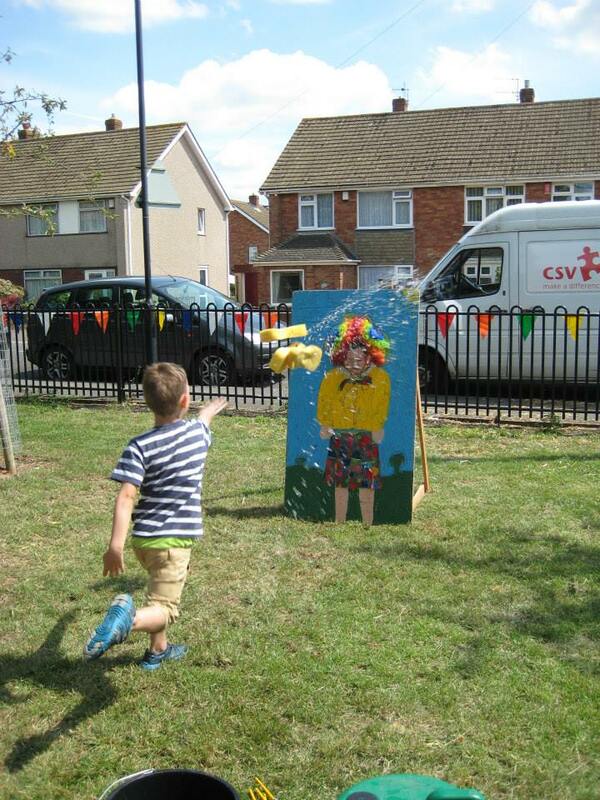 Summer fun in south Bristol 2014 – free for children and their families!! 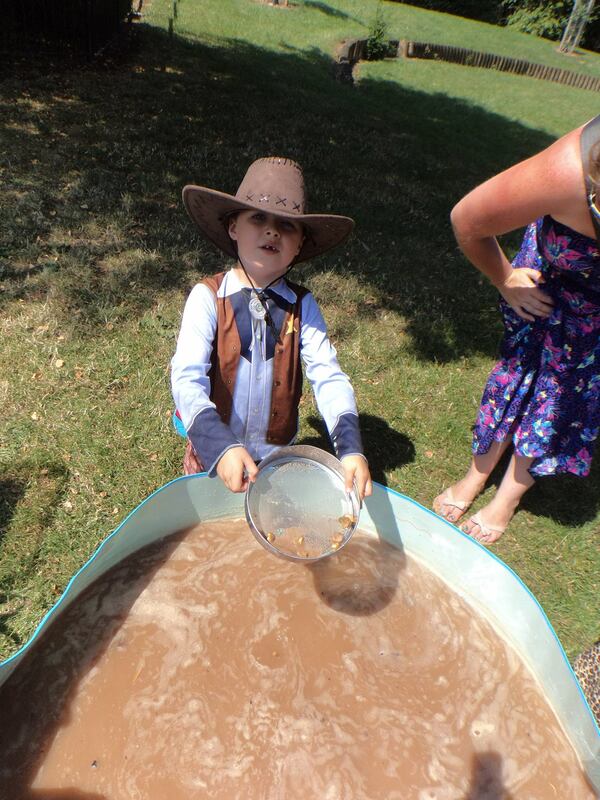 May school holiday Play Ranger activities! 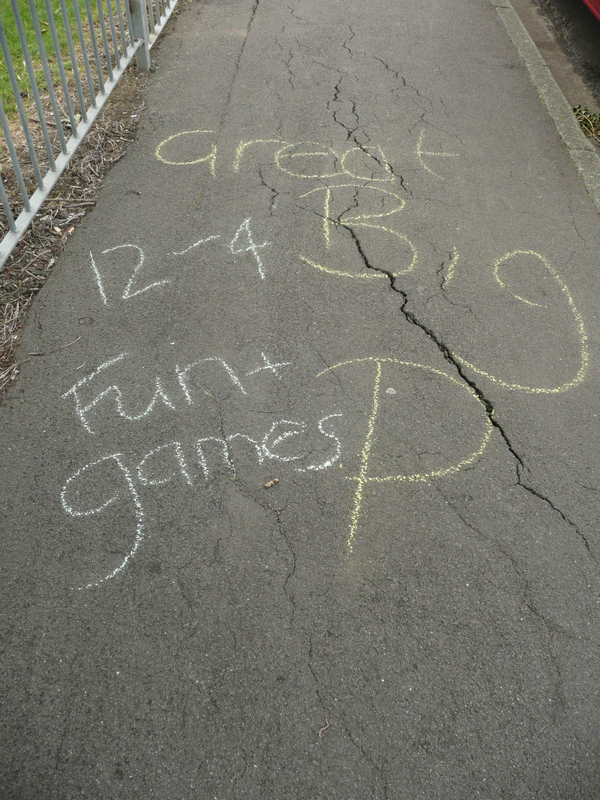 FANTASTIC TURN OUT FOR COMMUNITY PLAYDAY IN HEADLEY PARK! 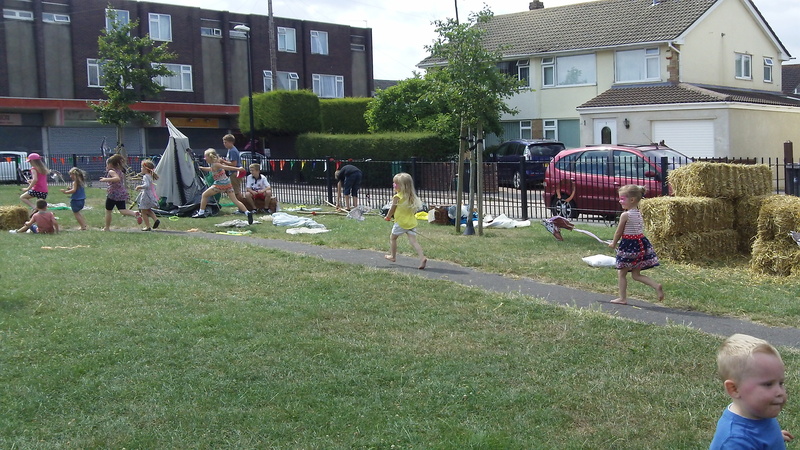 The sun was shining as hordes of families came to support the Headley Parkers at their first community playday this year in Headley Lane park. There was Easter fun with an egg hunt, prizes for the best Easter bonnet and egg colouring in competition. 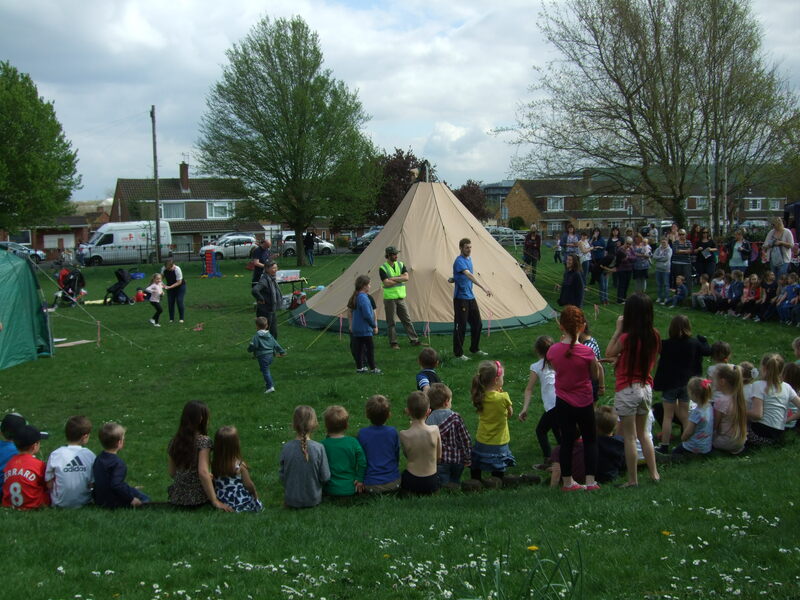 The CSV Play Rangers were out in force offering a massive hammock, football and badminton, face painting as well as painting huge egg bunting and making chick gardens to over 150 children and their families. 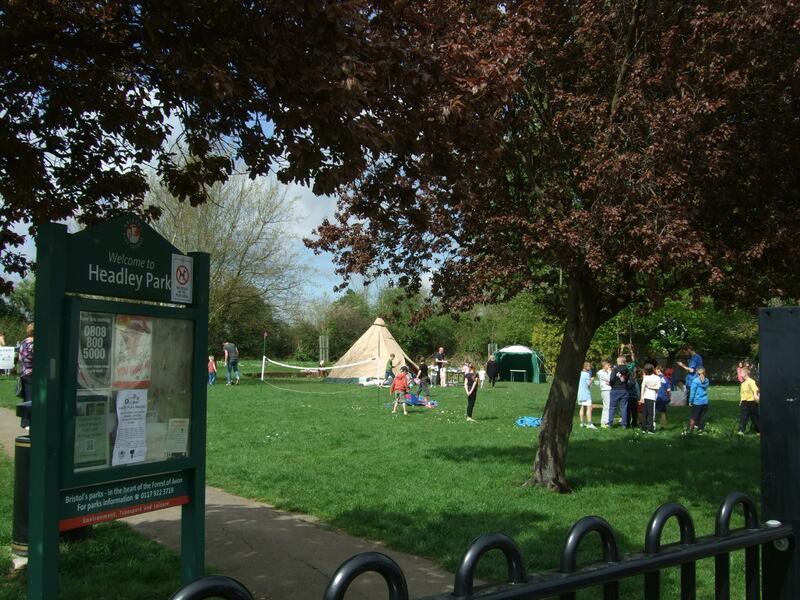 The Friends of Headley Lane Park group are a not for profit community group run by volunteers to help improve and maintain our park. 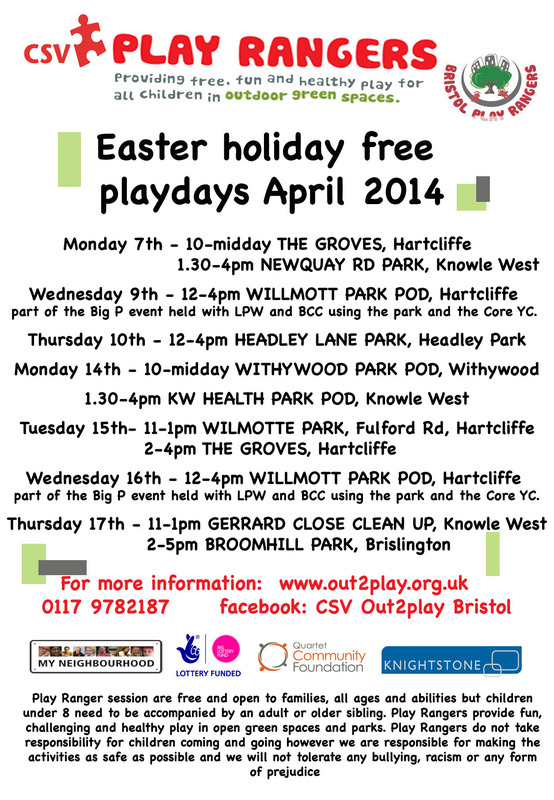 CSV Out2Play offer outdoor play and learning across Bristol as part of the national charity CSV. They have been delivering Play Rangers and forest school in Bristol for the last 8 years. 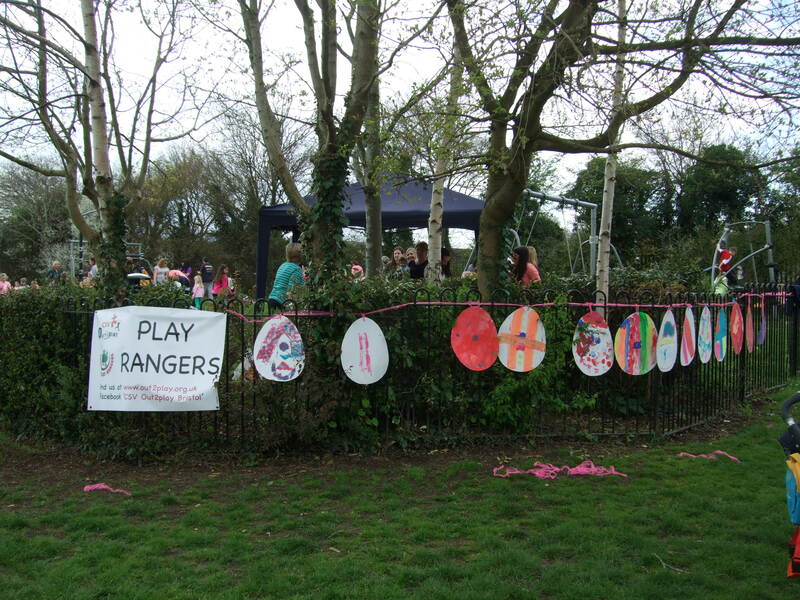 CSV PLAY RANGERS EASTER PROGRAM IN SOUTH BRISTOL! 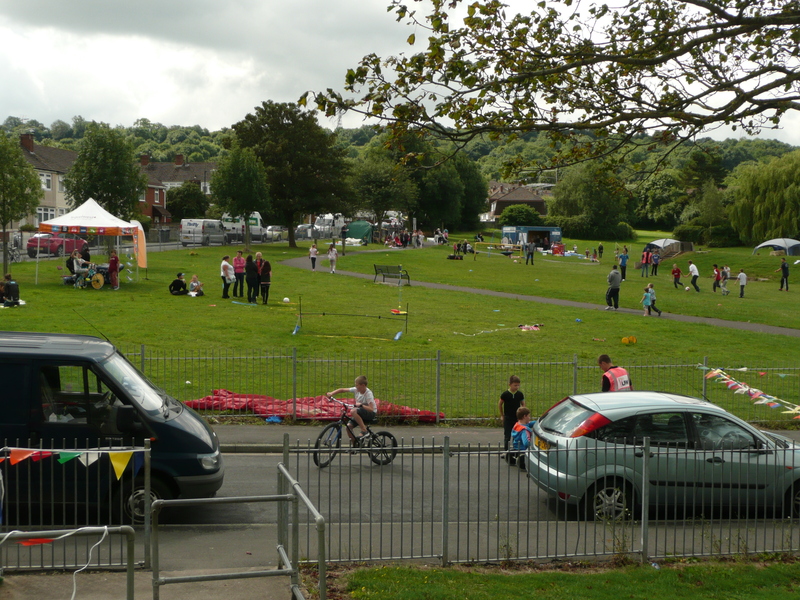 ALL EVENTS ARE HELD IN PARKS, ARE FREE AND OPEN TO CHILDREN AND THEIR FAMILIES. 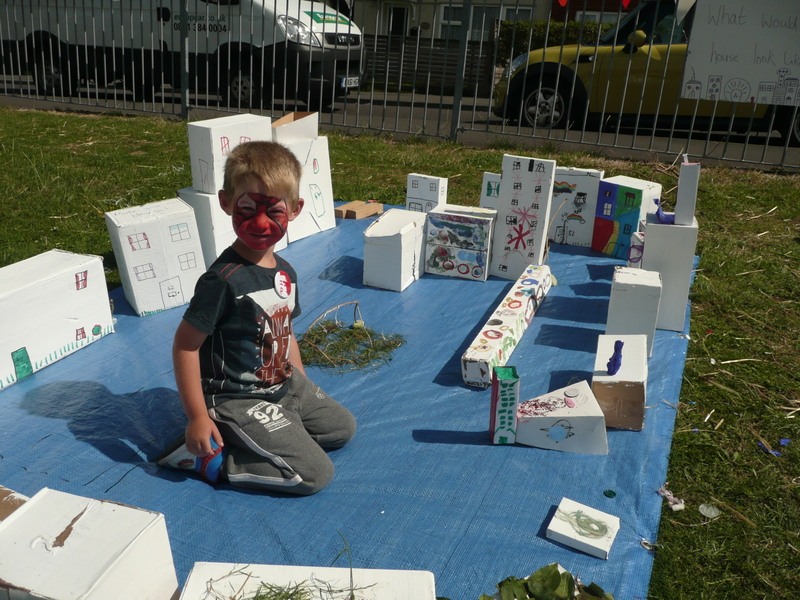 COME AND HAVE FUN MAKING EASTER CREATIONS, RUNNING AROUND AND FINDING THE ODD EASTER EGG!!! 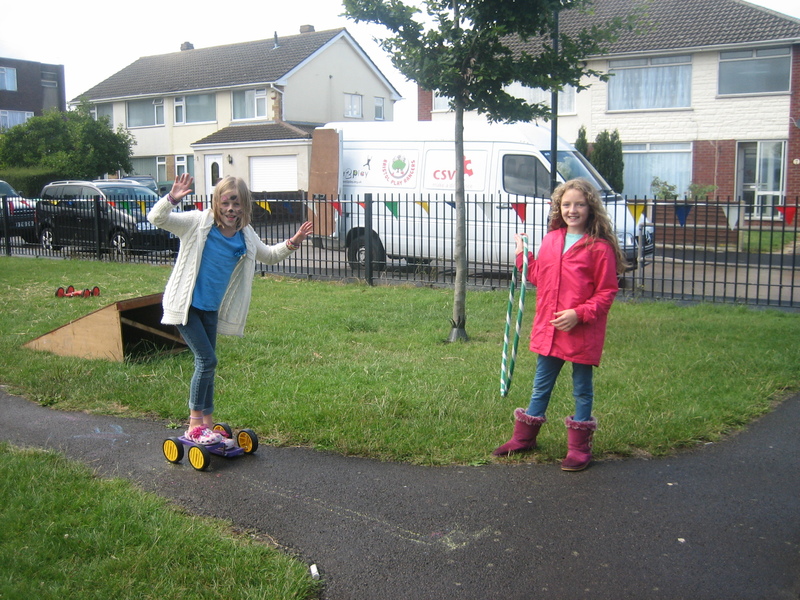 CSV Out2Play walk children from school to Play Ranger sessions to encourage healthy play and help cut car congestion outside school gate at pick up time. 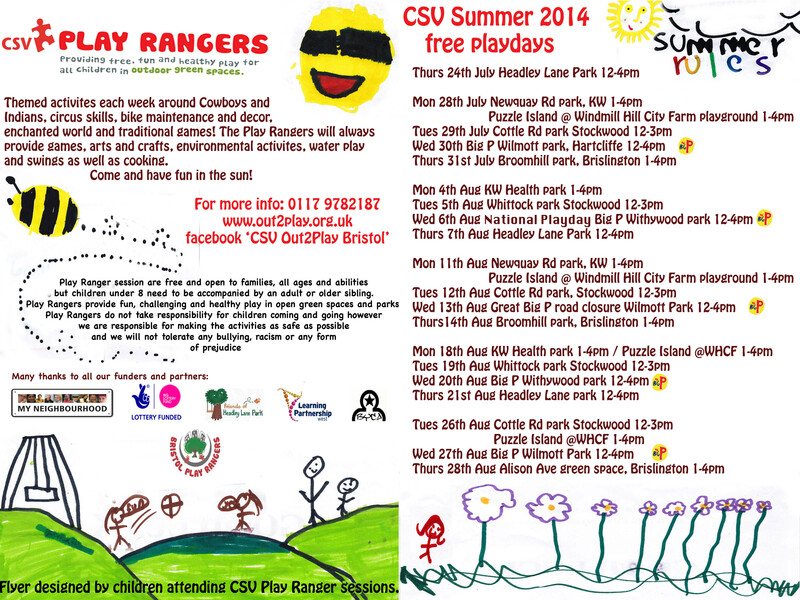 come along to the CSV Play Rangers event this week in south Bristol. All free and open to all children and their families! 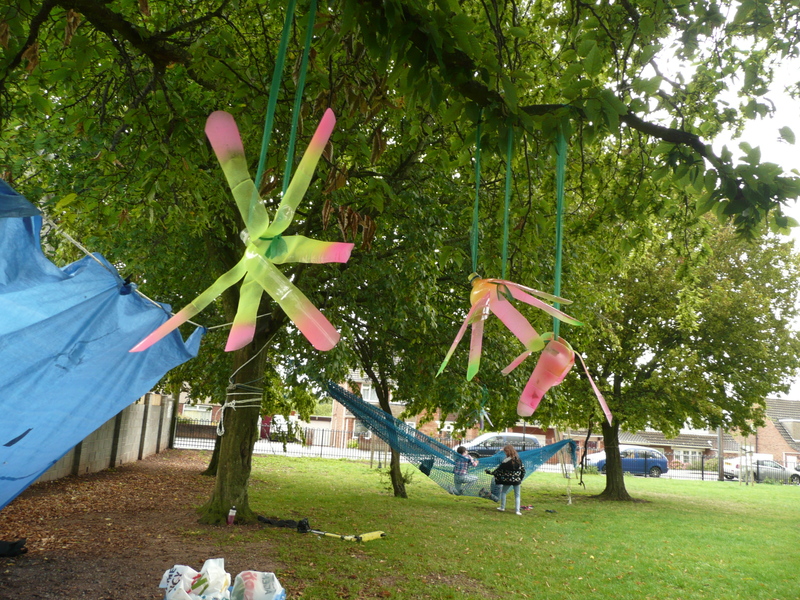 The children and young people at the Groves in Hartcliffe helped make an excellent film last year about the work that the CSV Play Rangers do in their local green space.